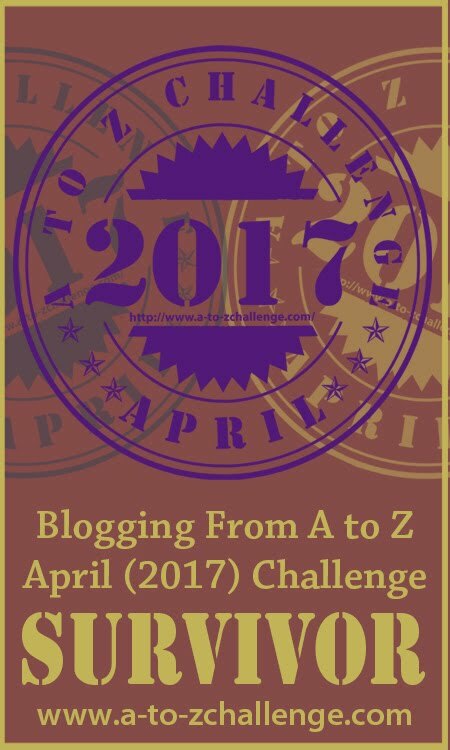 When I first read about the #AtoZChallenge for bloggers, of churning out a blog post in an alphabetical chronology almost every single day for 26 days in a month (except Sundays), I said to myself, ‘I cant do it. Its hard enough finding time writing a post every week, every day seems way too daunting!’ But then me and my affinity towards challenges got me pondering…at all the possibilities of participating. What it would mean to be a part of joining so many bloggers in this online event. What a wonderful platform it could be to reach out to more readers. How exciting it would be to have accomplished a difficult feat. I am plunging in. No looking back now. The next question – My theme! What do I give my readers that which is valuable to take away? In an alphabetical chronology? Thankfully, it didn’t take too long to figure. One thing that has been constant in my life is my love for reading. And particularly during crisis moments in life, I read everything I could get my hand on about surviving, healing, self-help, parenting, single-parenting, personal growth…the list goes on. The process opened me to seek a deeper connection with the divine forces of the universe. Unlocking my channels for spiritual growth. Leading me on to a path of self-discovery, in a quest for life’s true purpose. I would love to share with you- all the learning that has touched my soul and built me into who I am. Of positive inspirations and influences. The books, the authors, the experiences – everything that has enriched my journey so far. And while I do so, I am excited to revisit all of that and perhaps take away something valuable again. Join in. Stay connected for a fast-paced alphabetical blogging month ahead! This is great… writing is one of the most powerful tools to reach out to the world with your thoughts and ideas.. and if you can inspire people by your experiences and wisdom.. even better. I think you will do great and I will be looking forward to read the blog posts. Wishing you all the best on this journey.. May you achieve your goals and surpass your expectations by miles… Good luck. Thank you Santosh for all your wishes. Your support and encouragement are truly appreciated. And yeah, ‘I can’t possibly do it’ is the first thing we think. But hey, lots of bloggers do it. I’ve done it twice already. So welcome to the challange, you won’t regret it. It’s a fantastic experience, so many awesome people to meet and so many blogs to discover. Thanks so much for dropping in these encouraging words. I look forward to this challenge. Hey Medha. Thanks so much for visiting. How wonderful to know our themes will be similar. I look forward to reading your 26. Good Luck and stay connected. Intersting it’s my first time too with A-Z. Have a great ride. I’m a travel enthusiast too, so look forward to reading your 26. Lets do it.